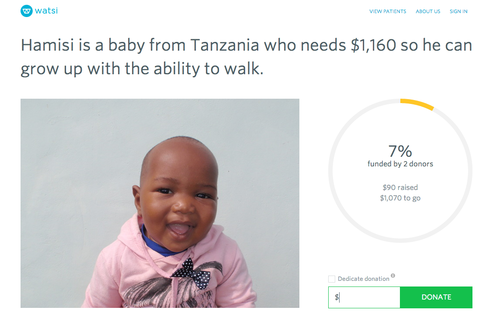 Starting today until October 17th, our friends at Amplitude are donating half of their revenue from each new customer to Watsi patients like Hamsi, who needs $1,160 so he can walk normally. Customers get to choose the patients they want to support and receive post-treatment updates. Amplitude is a YC-backed mobile analytics platform. Learn more and help them reach their goal of raising $10,000 for Watsi patients here!